In medieval Europe, Jews were often targeted with the claim that before the Passover season, they would murder a Christian child to use his blood in their matzot and wine. This dangerous libel spread across Europe, attacking Jews in England, Germany, Spain, Russia, and even reaching Damascus, Iran and the Islamic world. The myth of the blood libel led to the pogroms and persecutions of Jews. Cults supported by the Catholic Church flourished around the "martyrs" of the blood libel, such as Simon of Trent and Little Saint Hugh of Lincoln. These blood libel accusations began to wane as the Church lost influence in Europe, yet they occasionally did pop up in Russia, Eastern Europe and Syria. 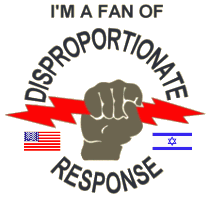 Today, this classic anti-semitic motif has been re-incarnated in a new anti-Zionist form. The common claim is that Israel has been intentionally targeting and murdering Arab children as part of some genocidal program by the Zionist entity. During the recent war in Gaza, the Islamofascist-apologist media portrayed Israel as a blood-thirsty aggressor intent on terrorizing and massacring innocent Arabs in Gaza. The Israeli operation was a delayed under-reaction to 8 years of constant rocket fire on Israel's south. The Israeli army attacked Hamas terrorist weapons caches, smuggling tunnels and training camps. According to official Israeli statistics, 709 Hamas terrorists were killed, out of a total of 1,166 casualties. Hamas and the anti-Israel media deliberately inflated the number of civilians killed in order to make Israel seem guilty of "war crimes". Ignoring the fact that Hamas intentionally chose to hide among civilians and store weapons in mosques, hospitals and schools, the number of civilians killed is relatively low and is testament to the accuracy of Israel' air force. While the fighting raged, protesters all over the world called for Israel to "stop the killings in Gaza" (never mind the fact that they had no problems with killings as long as they were directed at Jews). It was forgotten (or conveniently ignored) who the aggressors and who the victims were. Hamas, amidst bravado of how Gaza would "be a graveyard" for the "Zionist soldiers", spoke paradoxically of the slaughter of Arabs by the Israeli army. Hamas, the terrorist organization responsible for the murder of hundreds of Israelis, whose genocidal commitments are enshrined in its constitution, quickly became the innocent victims and the mean old Zionists, the bad guys. Cynical and obscene comparisons between the Nazi murderers responsible for the annihilation of a third of world Jewry and Israel's defensive operation abounded. 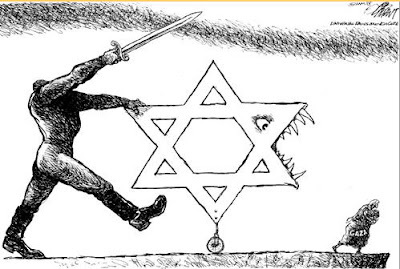 The Holocaust became a tool to attack the Jewish state fighting for its survival. No context was provided to the conflict as it became accepted discourse that Israel was bombing Gaza simply out of a sick and perverse desire to kill Arab children. World reaction surpassed that of the 2002 Jenin massacre that wasn't, when allegations of hundreds of Arabs slaughtered in the Jenin refugee camp spread. After a UN investigation, it was revealed that about 50 Arabs had been killed during this phase of Operation Defensive Shield, half of them armed terrorists. Of course, this did not prevent condemnation and denunciation of Israel. Unfortunately, some Jews joined in the chorus of Israel-bashers. Consumed by guilt over everything, these Jews marched side by side with Arabs, acting as useful idiots for those who used anger over Israel's actions as a smokescreen to attack Jews. These self-haters, such as Roseanne Barr and Gerald Kaufman, repeated the tired fallacy that the Israel army and the Nazis are interchangeable, lending credence to the anti-semites' claims. Incredible that while the Jewish state was fighting for its life, these kapos would choose to condemn it. This phenomenon of self-hatred is limited to Jews. Never will one find an Italian obsessed with hating and condemning Italy, or an "Arab against Palestine". Tragically, 2000 years of exile have poisoned the minds and hearts of far too many Jews, people who do not identify as Jews unless to lend support to their bigoted views. Even supporters of Israel fell for this libel, apologizing over and over again for "killing innocent civilians". The pro-Zionist argument went like this: "Its a shame about the civilians deaths in Gaza, but..." The destruction of one's enemy is not supposed to be something painful or shameful. War is cruel and civilians die. The people of Gaza were not innocent by any stretch of the imagination. In 2006, the majority of the people in Gaza voted democratically to have the Hamas terrorist organization represent them. 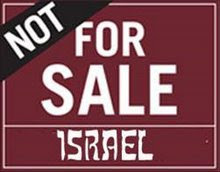 They permitted their homes and towns to be used as rocket launch pads against Sderot, Ashkelon, Ashdod and the Negev. They danced in the streets and gave out candy when 8 teenagers were shot in cold blood by an Arab gunman last March in a Jerusalem yeshiva. 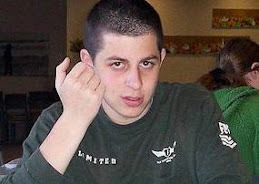 They have held Gilad Shalit captive for 1000 days without Red Cross humanitarian access They have built a perverse society built on hatred, anti-semitism and love of martyrdom and death. In short, their suffering, as all Arab suffering, is self-imposed, a result of their rejectionist policies. They chose the rocket over the olive branch and war over peace and they are now paying the price. In WWII, the Allies went on a bombardment campaign of German cities. The people they killed were not Wermacht generals, Gestapo police or members of the German army. The Allies did not limit their attacks to Hitler and his Nazi regime but to the German people who voted in and supported the Nazi beast. No tears were wasted on those killed in the bombardment and similarly, Jews should spare no tears on those killed in Gaza. The "innocent civilians of Gaza" were the same ones who helped Hamas, who are totally committed to the destruction of Israel and who rejoice when Jews are murdered. These "innocents" are the same ones who kidnapped Gilad Shalit and have kept him in a cell for 3 years. With such a surplus of Israel-bashers, we need not join in. Today is Rosh Chodesh Nissan, the beginning of the month of Nissan. 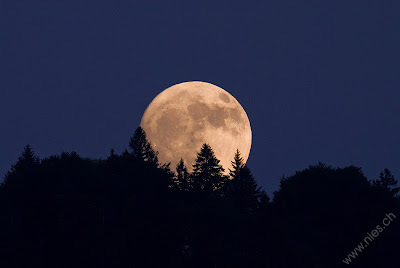 The Hebrew calendar is determined by the moon, which is a symbol for the nation of Israel. Just as the moon waxes and wanes, yet always regains its strength, so too does the people of Israel. 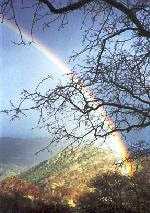 Rosh Chodesh, the New Moon, represents renewal and regrowth. Though today the situation may seem bleak and the Jewish people appear defeated, we will arise like a phoenix from the ashes. Despite the numerous challenges and difficulties we face, both from the inside and out, we will triumph. The Jewish nation lives forever! A major terrorist attack was thwarted Saturday night, motzaei shabbat. Security found explosives in a parked car outside of a crowded Haifa mall, when one of the explosives malfunctioned. If the bombs would have gone off, many Jews would have been injured or killed, G-d forbid. It is a miracle that one of the devices malfunctioned and that authorities found and disabled the bombs. This is testimony to HaShem's amazing love and mercy for His people. HaShem is constantly protecting and guarding over His nation. During the recent war in Gaza, we were privileged to see so many tremendous miracles, of rockets falling on empty schools, empty homes and kindergartens, of rockets hitting synagogues moments after the congregants had exited. During 8 years of bombardment and 10 000 rockets, there have been only a handful of casualties. Why? Is it because of Hamas' poor aim or the superiority of Israel's defense system? No! It is all thank to our Father in Heaven. Every Jew must say: THANK YOU HASHEM! Thank You for Your many miracles and kindnesses that You perform every single day to Your people Israel, the numerous ones that we are aware of, and the thousands of miracles that we are unaware of. "Behold, the Guardian of Israel neither sleeps nor slumbers." (Psalm 121:4) There is no clearer proof of G-d's existence and sovereignty than the continual preservation and survival of the Jewish people and the State of Israel. Israel is surrounded by a sea of blood-thirsty anti-semites longing for is destruction, cruel enemies who want nothing more than the death of the Jewish people. 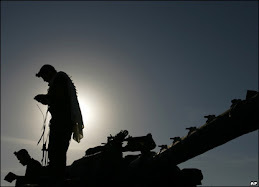 In 6 separate wars, they have attacked Israel and been defeated, by HaShem's loving grace. 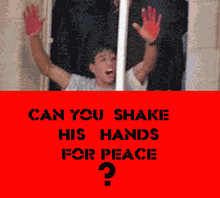 They have launched numerous assaults, attacks, bombardments and strikes against Israel, all to no avail. "Plan a conspiracy and it will be annulled, speak your peace and it will not stand, for HaShem is with us." (Isaiah 8:10) To the enemies of Israel, you will never succeed in destroying the people of Israel. The Jewish return to Zion is a miracle, a divine decree and cannot be prevented. G-d promised in His Torah that those who bless us will be blessed and those who curse us will be cursed. The choice is up to you: whether to aid and support the return to Zion or to oppose HaShem and His will. Either way, our existence and prosperity is assured. 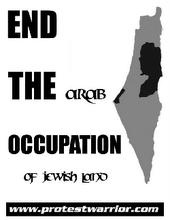 Neither the Arabs, nor the US, EU or UN will ever succeed in uprooting us from our land. They are powerless before the G-d of Israel. The Passover Hagaddah says that "there are those who rose up against our fathers and against us. It was not one alone that stood up against us to wipe us out, but in every generation they arise to annihilate us. But the Holy One, blessed be He, saves us from their hands." The fate of Hamas and Fatah, Hizbullah and Ahmadinejad, will be the fate of Pharaoh and Haman, Hitler and Stalin. 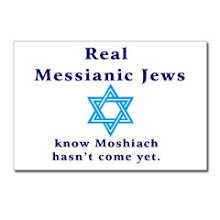 And Am Yisrael will live for ever and ever! Israel is victim of the most vile libel. Anti-semites and Israel-haters have made the most obscene comparisons between Israel and the Nazis (l'havdil elef alafei alafim havdalot). Jews and all good people have to respond forcefully to these lies. Since the destruction of the Second Temple until very recently, the masses of the Jewish people did not dwell in the Land of Israel. For 2000 years. the majority of Jews dwelled in the Diaspora, among non-Jews. Jews were dispersed in far flung places such as Poland, Morocco, Iran, Ethiopia and even China. They spoke different languages, like Yiddish, Ladino or the local tongue, and differed very much in customs, cuisine and clothing from other Jews in other exiles. Yet, despite intense persecution, massacres, pogroms, suffering and poverty, the Jewish nation survived intact, the many generation since Sinai until the today. Through the force of their dedication and commitment to Judaism, they were able to withstand the most brutal and horrible of circumstances. Generally, the second or third generation of immigrants assimilates quite fully into the host culture. The only reminder of their origins may be the occasional family cultural celebration, a grandparent with a heavy accent or maybe a trip back to their home country. It is incredible that Jews, dispersed and separated for 2000 years, did not assimilate but always maintained their own identity. Away from their land, with no country to go back to, Jews were able to survive. Within the span of several generations, a new and frightening trend has emerged. 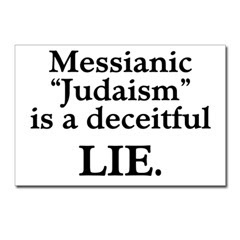 All Jews, until a hundred or so years ago, were religiously observant, fully and wholly committed to Judaism. Because of this, Jews were able to survive the harsh Diaspora. However, today assimilation is taking a frightening toll on Jewish communities in the United States, Canada, Russia and Western Europe. Jewish identity is declining sharply. Intermarriage rates are increasing dramatically. Before 1965, 10% of Jews who married, did so outside the faith. Since 1985, 52% of Jews who married have done so outside the faith. Children are being raised as non-Jews. 1 million, or 54% of all American Jewish children under the age of 18 are being raised as non-Jews or with no religion. Fertility Rates are not high enough to replenish the religion. The average fertility rate of American Jewish women is 1.4 children per household. The replacement level is 2.1 children. Less emphasis is being placed on a Jewish education. In 1962, 540,000 Jewish children were attending afternoon weekend schools, and 60,000 were enrolled in day schools. By 1990, fewer than 240,000 Jewish children attended afternoon /weekend schools and 140,000 attended day schools. NET LOSS -- 220,000 Jewish children. Traditional Shabbat observance is extremely low. Only 36% of Jewish households light the Shabbat Candles. Of the population that consists of people who were born Jewish and are Jewish by choice, only 11% attend synagogue weekly. The Jewish population worldwide is sharply decreasing, ravaged by the scourges of intermarriage and assimilation. A census taken before Rosh HaShana 5769 found that the Jewish population worldwide increased by 70 000, only due to natural increase in Israel. A very shocking study found that within 3 generations, 97% of non-Orthodox Jewry in the United States will be extinct. This is a tragedy of epic proportions. 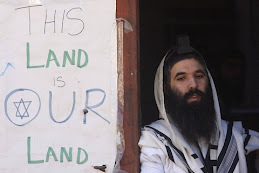 The nation that stood at Sinai and received G-d's Torah barely knows about Purim and Shavuot. 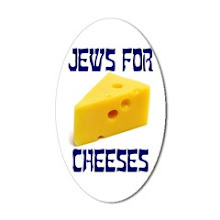 The Chosen People eat cheeseburgers, not even knowing that they might be unkosher! 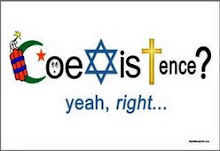 Taught by the Jewish Establishment Organizers that "thou shalt melt", Jewish parents sent their kids to public schools, creating a generation of Jewish illiterates who know little more that Fiddler on the Roof, gefilte fish and a Yiddish expression or two. This is the most pressing threat facing the Jewish people today. The apathy of young Jews and their total disconnect and alienation from Judaism should frighten and worry every single Jews who is committed to the future of his people. During Israel's recent operation in Gaza, Jewish leaders were extremely concerned over the alarming increase in anti-Israel around the world. Not to deny the seriousness of these anti-semitic attacks, the biggest danger threatening the Jewish today comes not from anti-semitism but from assimilation and intermarriage. There is a silent Holocaust going on in the Diaspora as young Jews marry outside of the faith, their Jewishness completely irrelevant to them, a mere accident of birth. Yet, the Jewish leaders are completely silent, doing nothing to try and reach out to our brothers and sisters who are slowly drowning in goyishkeit. If these current rates continue, the future does not bode well for Jewish continuity. Raised in completely secular environments devoid of spirituality, young Jews look for meaning in other paths and belief systems. They travel to India and live in ashrams, or become Buddhists or Zen followers. These alienated Jews make easy prey for missionary groups like Jews for Jesus who thrive on Jewish illiteracy and ignorance. Most have only the faintest inklings of Jewish rituals, a quick show at "temple" on the high holidays, boring and irrelevant classes at Hebrew School, or a family seder. They have never been exposed to the incredible spirituality in Judaism and are often amazed when they discover that Judaism has a deep spiritual legacy. Intermarriage is only the last step in complete assimilation, finalizing the irrevocable break with the tradition and lineage that extends to Sinai and before, to Abraham, Isaac and Jacob. For generations of Jews, the question of "why be Jewish?" is unimportant. They were sent to public schools, encouraged to interfaith and integrate with non-Jews and now their own Jewish identities are nil. To any Jew who is reading this article, I beg them please to seriously consider their own Judaism. Their ancestors gave their lives in order that they should live as Jews. Imagine their great-great grandfathers in the shtetls of Ukraine or the juderias of Spain, and how much it would pain them to know that they overcame pogroms and Inquisitions, Crusades and Auschwitz, only for their children to willingly give up their Judaism. Please, I beg you to return home, to your roots and to your people. May HaShem merit that all of His children should come home very soon.